​Another New Year approaches, I write from Perth late afternoon on the eve of 2019. My office now in a home that I have just recently located to and I can already hear the beginning of neighbours preparing for the night’s celebration. I am looking forward to celebrating not only the year that is to pass but also the new year to come in. 2018, seemed only to contain six months as it passed so incredibly fast. Life I feel tends to move quickly the older I get, or is it that I endeavour to pack so much in, as there is still so much to do? My annual trip to Kenya achieved the building of our relocated boy's orphanage and again being surprised as to how quickly our children grow. Meeting children that had joined us in January to begin their education and following the health of our families and children with special needs. Thankfully I returned in time to Perth to be given a most beautiful grandson from my son Adam and his lovely wife, Georgia a moment of pure happiness and so very much looking forward to spending time doing all the grandmother wonders in the years to come. jubilation and will miss her next year as she continues her passion for her work in Paris. I was reminded on Christmas Day, through a gift from Sarah, that we are forever growing ourselves, we are always planting new ideas, like seeds that with nurturing, patience, compassion and care that great things will evolve. 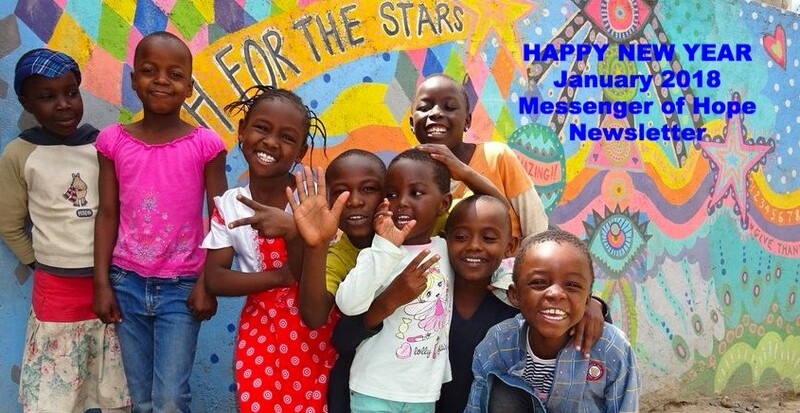 2019, I see my life change due to being in a new environment, making a new home, meeting new friends and establishing myself in a new neighbourhood, which inspires me to extend even further for our children in Kenya. My life has certainly changed over the years due to my work and the enormous responsibilities that most certainly come with the territory of having your own school and orphanage. But as our orphans and school children grow so does the knowledge that we are making such a vast difference — those who came to us as babies are now entering high school and even university. I have seen children born in the direst conditions thrive due to been given food, counselling, education and a home. 2019 excites me to know that this can continue, and will, as I encourage others to remain of this incredible journey that began back in 2008. It is the same for all of those who are reading this New Year message, and we wish you the same excitement for change, the same interest in discoveries, the thrill of a challenge and achievement. We know that there will be times that difficulties will find us, but knowing that these obstacles will be faced with the same tenacity of past, we will as you will succeed. Happy most amazing New Year to you, your family and friends and continue to welcome you into our children's lives in 2019. 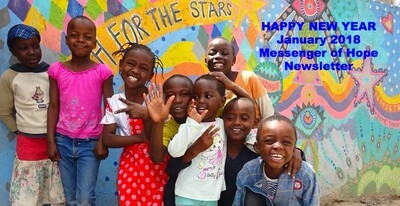 Happy happy new year to all our families and friends.The new term and the new year has just begun with having more students in our baby class who have never been to school and it's their first time away from their homes and parents. We are also excited as currently, our school is growing up as we are now having grade 7 and will be introducing computers to this class. 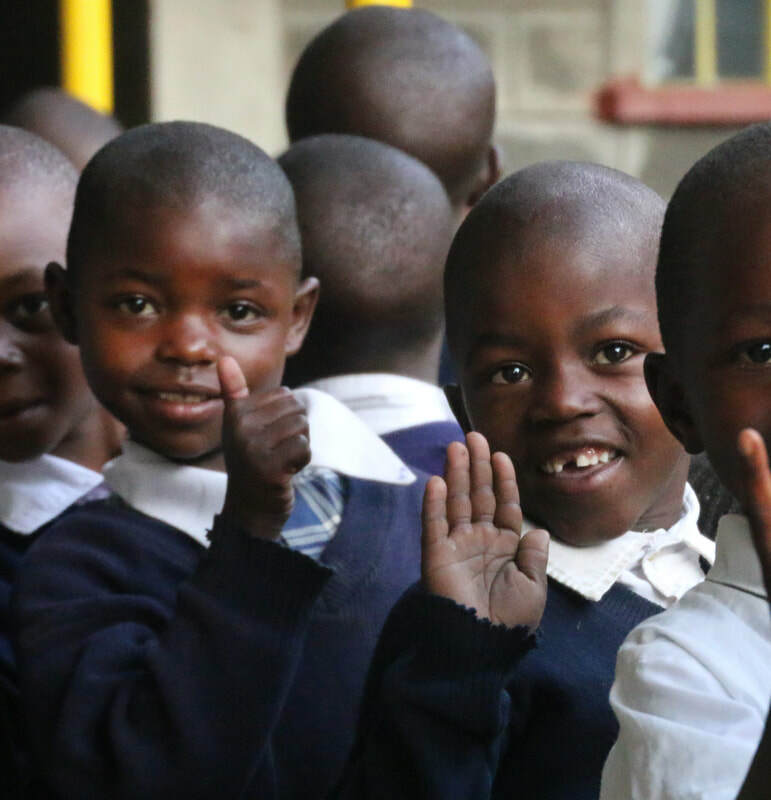 In Kenya the school curriculum now includes computers for Grade 7 which was not included before so we are thankful that we will be able to bring these to our children this year then next year we will be having our first grade 8. We continue to look forward to welcoming more children to our school to give them hope and who now know of better future through getting an education and we continue to be thankful for all the volunteers who visit us, help us and be with our children to show them that they are not forgotten. We are looking forward to making more volunteer friendships in 2018. Good news our cow Carla has made us proud by giving us a gift of a son. Carla will now enable us to expand our project by providing with more milk to our children to improve the nutrition for our children, whilst saving much for her newborn. Our days have not all been filled with good news already this year. 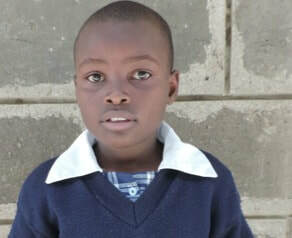 Please meet Miriam below is 9 years old and has cerebral palsy. Most of the time she is left alone in the house on a wooden bed with no mattress affecting laying in her own urine, her bone's health has deteriorated. Her mother has ten children and fourteen grandchildren that she takes care of. 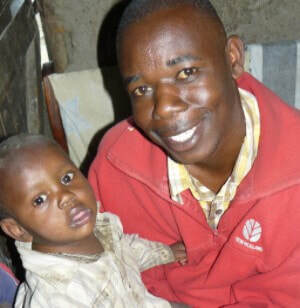 The husband passed on a few years back and was left with the responsibility of taking care of the children. All of her children are not employable as they have not had the opportunity of an education and therefore depends on their mother to cater to their needs or go begging on the streets. Some of the children do not go to school as the mother cannot afford to take them to school. Currently, the mother is unemployed and has to move from one house to another to look for work of washing other people’s clothes. There would never be any hope for this family but we will begin by having Miriam assessed to see what we can do for her, already we have cleaned her bed sores and ensured that she is out of bed some days and in the sun. The month has flown by, and I might just make March's newsletter as there is much to tell. Sunday 26th March I held a fundraiser here in Perth which was a wonderful success as we had 200 people attend who assisted in raising funds for a roof i need to build across our quadrangle at the school so thatwe will be able to have more room to be able to feed more children. The day was wonderfully supported by those donating prizes for our raffles and a trip to visit us in Kenya donated by Travel Directors was won.. it was indeed an amazing day. I had also wished to continue urging others to sponsor a child, to sponsor a child is in fact one of the greatest gifts that anyone can give. 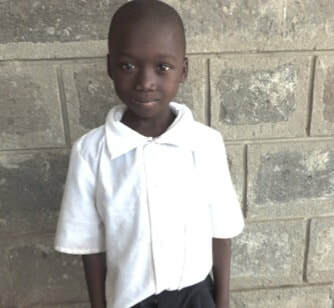 Did you know 100% of a donors sponsorship goes direct to that child for his or her needs and that of the family. 100%. No administration costs, not advertising or glossy brochures etc. Plus, we introduce the donor to our computer system where they are able to see the donation come in and exactly what the donation is used for. This system also gives updates and messages direct to the sponsor, even a note back to the child or family can be sent.. and visiting the sponsored child is always encouraged as well. Celebratory days of the New Year cleaned up and almost forgotten, as are many new year's resolutions no doubt! My new year is always welcomed as we begin each January with a further 35 children to begin their education a time of discovery for them and for myself. I find that as the school grows so must the energy to continue to find those whose caring goes deeper than well wishes, but to actually help by making a plan to volunteer or to donate. I look at photographs of family and friends and see the brightly coloured wrapped presents under an overly decorated tree and in its place I see food on plates, water in large yellow containers, queues waiting to see a doctor or a new baby born behind the closed doors of a darkened filthy room. Christmas and New Year is always a time of awakening that another year has passed and we remain strong in spirit and continue to do our work in times of economic adversity.